New Release: Louis M. Grafe's "Get Rich In Spite of Yourself"
"Many rich and successful men and women," declares the author of this helpful book, "have no more brains or energy than anyone else. They are usually driven to success. Frequently they are so helpless they can't stop moving ahead even when they want to. Their money is made in spite of themselves!" Louis M. Grafe, who made his own fortune, lost it, and then went on to earn another fortune, presents an astonishingly simple formula for wealth and success. He has tested it in his own experience and has found that it has brought wealth not only to him but to many other people. Based on fundamental principles which you can find in your own copy of the Bible, this book demonstrates the existence and practical application of the Law of Success— the law which everyone who has ever made money or reached the top in their work has used, consciously or unconsciously. The formula can be followed by anyone, rich or poor, in almost any job or business, in any honest trade or profession. And it is so simple that you can learn all you need to know about it in three hours. Marry readers wonder, after reading this book, why they did not discover the formula for themselves, it is so amazingly right, so plainly practical and workable. 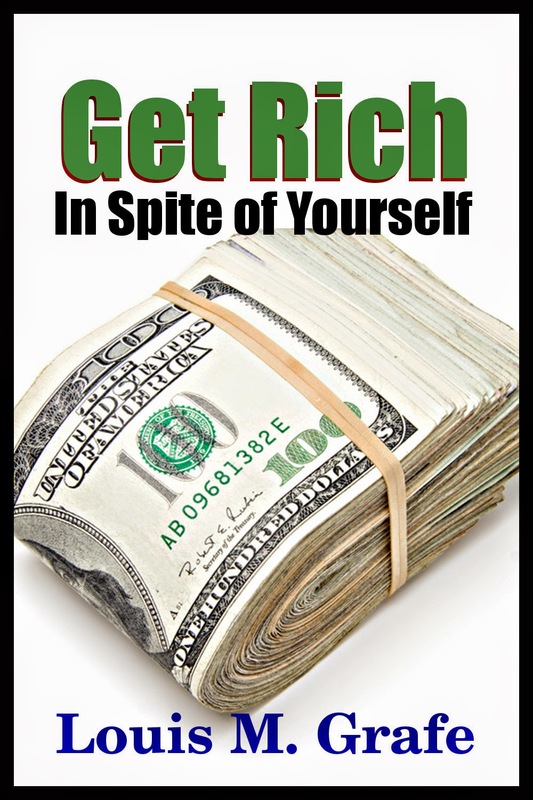 GET RICH IN SPITE OF YOURSELF is one of the great inspirational books of our time. Read it now and you will find that you have never spent a more profitable three hours. Louis M. Grafe (d. 1962) first published "Get Rich In Spite of Yourself" in 1945. As no record been found of this copyright being renewed, the book has reverted to the public domain.